Play Cracker of a game on this Friday, February 1, 2019, can be a cash-rich day for you in online rummy. And less than a couple of days left for you to grab the opportunity. You have not missed the bus yet. All you need is just one loyalty point—yes, you read it right and no typo error– to compete for Rs 2.5 lakhs tournament at the stroke of 12:00 noon. The prize pool is instant bonus. 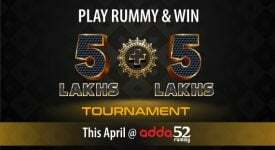 Lakhs of players are waiting with a baited breath to win the money in the tournament being offered by adda52 rummy. They have earned money and also loyalty points by playing cash games from January 1, this year. They have not stopped because it is a double bonanza–they get josh by playing rummy and earn money as well. For many, it is a relaxation also and the cash game events have given them passport to vie for the big money on February 1. Replace the word people in the quote with online rummy site. 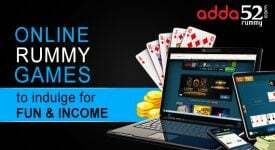 Adda52 rummy has all the qualities as it is honest, respects its players and rewards loyalty of the visitors to the website with fabulous and interesting tournaments. Well, if have not been able to earn loyalty points yet. Do not worry. Even now you are not late. But do not delay. Compete in the ongoing cash card game events and earn that crucial one loyalty point and book your slot for the tournament and well could be big winner on that day. 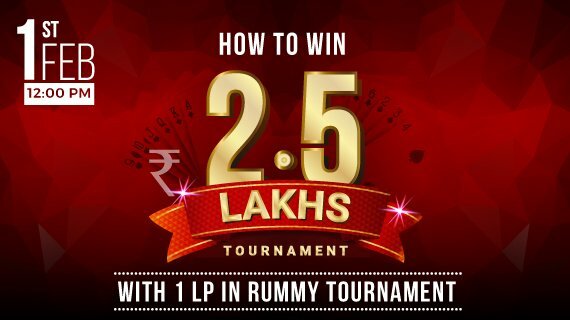 Rummy is not a game of luck and your efforts could take you to the victory podium with good money. 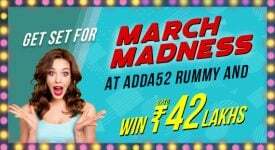 Adda52 rummy is always innovative and comes out with imaginative schemes to benefit the players. It, in fact, pioneered exclusive reward program for its users. It is called Loyalty Program and is applicable to cash rummy game players only. As mentioned earlier, adda52 rummy believes in loyalty and respects its users. It knows that the players have spent their quality time and competed with some of the best online players in the world. As a token of gratitude, the reward scheme is offered. Earning of more loyalty points will help user to getting faster release of locked bonus. There is a provision for converting points to instant bonus and locked bonus during special promotions. During the rummy session, itself the player can see the current loyalty point. 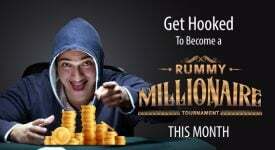 However, users are not entitled for any loyalty points for playing in rummy tournaments, be it cash or freeroll.